The walled city of Jaipur is called Parkota (peripheral wall). The main openings of parkota are Chandpole, Surajpole, Kishanpole etc. The word ''pole'' means ''entrance'' in local dialect. Sanganeri gate is another entrance in parkota, leading to Johari bazar. 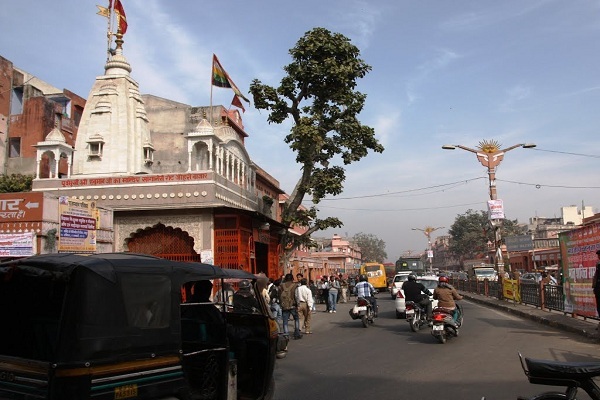 On the first corner of Johari bazar, there is Sanganeri Gate Balaji Mandir. 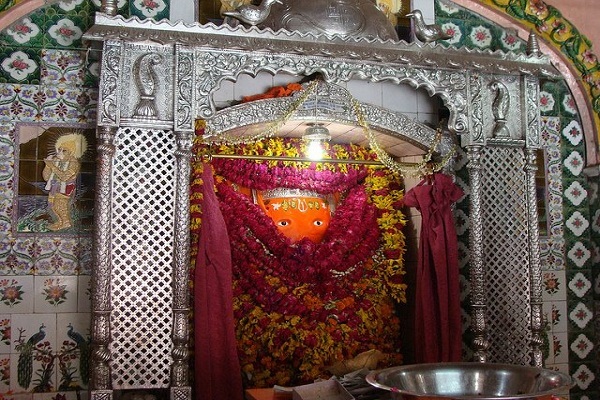 Colored completely in saffron sindoor, Balaji's deity is a centre of daily worship to large no. of local residents, business men, professionals and, of course staunch devotees. 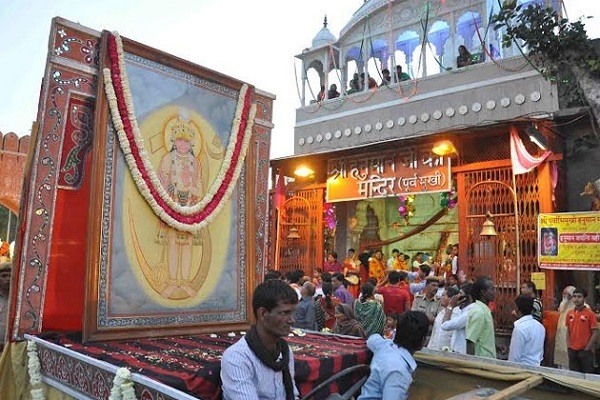 This temple has come into limelight when it was attacked during 2008 bomb blasts in Jaipur. 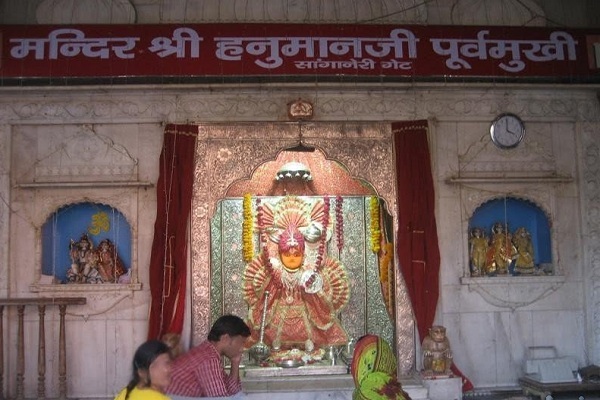 That tragic event left a scar in the hearts of the innocent people of Jaipur city, but it didn't affect the popularity of the temple in any manner. regular basis. May be its the great faith of people in Balaji or the blessings of their revered lord, the no. of visitors to this temple keeps on increasing every passing day. Darhan Timings: This temple remains open whole day from 6am to 8pm on all 7 days. Bus & Taxi service is easily available from all important touch points of Jaipur.